Hey Sebastian – Came across your site and it is super helpful! 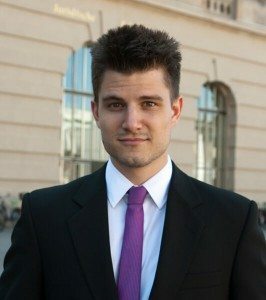 Wanted to reach out to see if you could offer guidance on a few options I am considering. 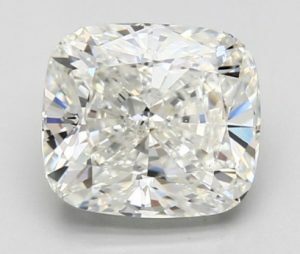 I am looking for a cushion cut diamond. Budget is around $60k all in. 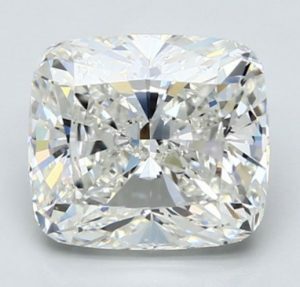 Ideally looking for something with more rectangular proportions and less depth and more top surface area (don't want a lot of the carat weight in the bottom). Not sure this matters but for what it's worth I'll be going with a platinum setting. 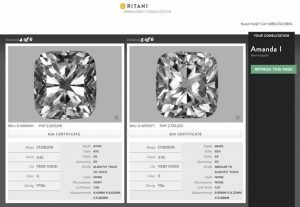 RITANI – I consulted with a virtual gemologist at Ritani and here are 2 options here I've narrowed down to and both are pretty different. I like the 3.55 for the size but not sure if I should be concerned about the color. Also the 3.08 has a crushed ice look which I am also unsure about (but kind of like at the same time). The photos aren't good but you can view the specs/GIA report there. BLUE NILE – much better imagery on Blue Nile. I haven't spoken with anyone there but here are some options I came up with. Seems like Blue Nile is slightly less expensive on a per carat basis. One general question I have is when it comes to cushions, which attributes would you recommend prioritizing? Given my budget and priorities, would love your thoughts in general and specifically on the above options if you don't mind! Do you think I'll be happy with the larger options at Blue Nile that are a bit lower on clarity (say VS1 or VS2) and color (G or H), or would you advise sizing down a bit and upping those atttributes? Thanks so much for your time! Thank you for your inquiry. I am happy to help. I apologize for my delayed response. Things have been busy around here! 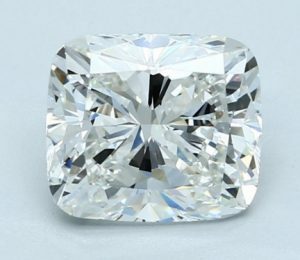 So, here is the thing with selecting a fancy shaped diamond, such as a cushion, it just comes down to personal preference. 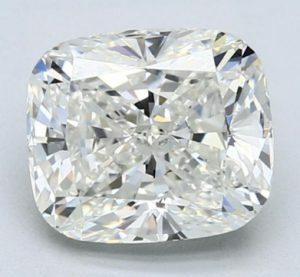 Assuming you have narrowed down your search using the recommendations for table range, depth range and girdle thickness, polish/ symmetry and you have your preferences set for color, clarity, price, etc…you now decide whether you want crushed ice, which offers more sparkle and scintillation than a cushion shaped diamond with larger facets and which ratio do you prefer….a more square shape or semi-rectangular? 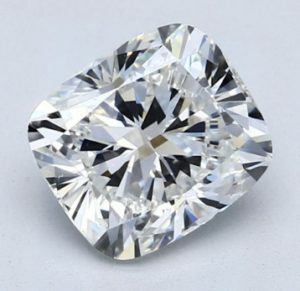 Cushion shaped diamonds are not graded on their cut by GIA or AGS. If you see cut grading on a site, it is the retailer assigning that grade based on their criteria. Regarding clarity, the main objective is that the diamond is eye-clean and that the inclusions do not impede the diamonds ability to reflect light. With that being said, you can consider SI1, VS2 clarity. As for color, if you or your significant other are color sensitive and think you have a keen eye detecting the difference in one color grade to the next, then I would suggest H color or higher. Have you been to a local store to see the difference in diamond colors in person? Also, crushed iced faceting pattern does a better job camouflaging warmer color. As for carat weight and size, take a look at the millimeter measurements of each diamond. It is possible to have a diamond with greater carat weight be smaller in millimeter measurements than a diamond with less carat weight. Fluorescence, some of the diamonds you selected from Blue Nile have strong fluorescence. How do you feel about that? Thanks Sebastian – this is super helpful! Really appreciate it. I'll let you know if I have any further questions. Thanks again!